Yunnan Vinetree Tourism Development Co., Ltd.
operates ecofriendly tent camps and ecological tourist trails mostly in China. ‘Vinetree’ symbolizes ‘rooted, skyward, harmonious and coexisting’, which is also representing the brand spirit of exploration, innovation, ecological responsibility. Vinetree adopted the slogan ‘when the roads ends, the vinetree starts’ to committed to immersing people in a cultural experience in nature and making high quality ecological tourism experiences, while promoting responsible travel. World Wildlife Fund (WWF) is the world’s leading conservation organization with over 5 million supporters worldwide, working in more than 100 countries. Our mission is to conserve nature, reduce the most pressing threats to the diversity of life on Earth, and build a future in which people live in harmony with nature. WWF’s unique way of working combines global reach with a foundation of science. In partnership with other organizations our work focuses on the following areas: protecting and restoring species and their habitats; strengthening local communities’ ability to conserve the natural resources they depend upon; transforming markets and policies to reduce the impact of the production and consumption of commodities; ensuring that the value of nature is reflected in decisions made by individuals, communities, governments and businesses; and mobilizing hundreds of millions of people to support conservation. Created in December 2006, the World Centre of Excellence for Destinations, a non-profit organization based in Montréal, is an innovative and powerful tool created with the assistance of the United Nations World Tourism Organization (UNWTO), with which it is linked through a memorandum of understanding. 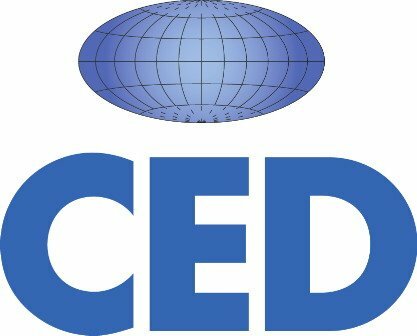 The mission of the CED is to contribute to guiding tourist destinations around the world towards excellence by: developing their competitiveness; facilitating the achievement of their sustainable development objectives; improving the quality of the experience offered to tourists and visitors; sustaining or enhancing the geographical character of a place, (i.e. its environment, culture, aesthetics, heritage, and well-being of its residents); and providing destinations with strategic information on the main issues concerning them. 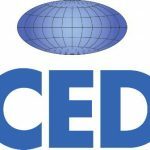 The CED acts as a catalyst for partnerships and collaborations with public and private stakeholders such as: Destination Management Organizations (DMOs), associations and experts from the tourist industry, universities, and civil society at large. Wood Certification Pvt. Ltd. was incorporated in 2005 under the Indians Companies Act of 1956. WoodCert is involved in training, third party inspection, forest certification, chain of custody certification, and validation and veritifcaion of forestry carbon projects per frameworks such as CCBA, CCX, Plan Vivo and ISO 14064. WoodCert also participates in VLO and VLC certification and verification. The Wildlife Friendly Enterprise Network conserves threatened wildlife while contributing to the economic vitality of rural communities. Our mission is to protect wildlife in wild places and on agricultural lands in-between by certifying enterprises, like tourism, that assure people and nature coexist and thrive. Certified Wildlife Friendly® uses the power of the marketplace to create on-the-ground change by providing incentives for the protection of biodiversity around the world, offering opportunity for people in often rural and disadvantaged communities, and enabling conservation of intact landscapes critical to the provision of ecosystem services, wildlife corridors through working lands, which provide resilience in the face of climate change. Vesselka Consulting Ltd. is an independent international organization offering a broad range of professional services. We use practical approaches to design and implement initiatives that achieve results and make a difference for the private sector and development programs. Working with private sector senior management we provide in-depth feasibility studies followed by implementation. In development our work informs the highest levels of government to local administrations to implement development goals in capacity building, restructuring, land administration, regulatory reforms. Our in-house Black Sea Sustainable Rural Tourism Program is the only effort of its kind in the region and incorporates sustainability criteria for each member community within a unique for-profit and development envelope to achieve maximum impact and financial sustainability. We source specialists who have on average more than 30 years’ business and development experience in more than 30 countries and incorporate sustainability in everything they undertake. We are committed to a clear value structure. We believe that the client’s interests come first. This means delivering better value than the client expects. It does not mean doing whatever the client asks. Our specialists are expected to exhibit professional conduct at all times and respect for local cultures and customs without compromising integrity. The Vanuatu Department of Tourism is a government agency established under the Ministry of Tourism, Trade, Industry and Ni-Vanuatu Business. The establishment of the Department was instigated by the lack of development efforts in the outer islands to promote and facilitate ni-Vanuatu participation in tourism development. The establishment allowed for the Department of Tourism to solely focus on Policy, Destination Management, Product Development, Cruise Tourism and Tourism Standards. The Tourism Standards program (Vanuatu Tourism Permits and Accreditation Program) manages the Vanuatu Tourism Product Classification System (VTPCS) and the Vanuatu Tourism Operators Minimum Standards (VTOMS). 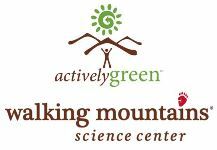 Our commitment by incorporating GSTC’s criteria into our Accreditation program is part of our continuous improvement effort to provide support and encourage the concept of Sustainable Tourism. University of Utah: Dept of Parks, Recreation, and Tourism, Sustainable Tourism Management is where education and citizenship combine to enhance the quality of life for the world we touch. 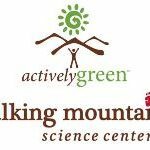 The department’s mission is to create, share, and apply knowledge about park, recreation, and tourism resources and phenomena in order to advance the intellectual and professional development of students, serve social needs, inform policy, promote economic development, and foster health and the quality of life for individuals, families, communities, and the environment. The department serves Bachelor of Science through PhD, offering courses and research projects on all facets of sustainable tourism development and natural resource management. Universidad Tecnológica de León (UTL) Tourism Management & Development Program is aimed at training professionals to fulfill the productive and social sectors priority needs with highly trained staff. The UTL has more than 19 years of experience, all its academic programs are recognized by the National Council of Higher Education Accreditation (COPAES). The UTL was the first technological university in México certified both in ISO 9001:2008 and ISO 14001:2004. The Tourism Management & Development program prepares students with specific skills: To manage tourism companies and organizations through the design of strategies, processes, optimization of resources and compliance of objectives to contribute to the development and competitiveness of the tourism industry. To develop tourism projects within the framework of sustainability, encouraging the use of social networks, based upon the characteristics and needs of regions and organizations, to contribute to the quality of life of the communities, the profitability of the companies and the satisfaction of tourists. The GSTC criteria are taught in the course of Sustainable Tourism Development. 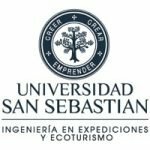 Accreditation Commission certifies Universidad San Sebastian for 5 years in the areas of Institutional Administration, Pre-Graduate Programs and Bonding with the Environment. 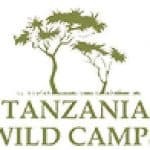 Within this context, the career of Expeditions and Ecotourism Engineering promotes in its students, the interest and determination to develop skills that allow them to resolve problems in the expedition setting, as well as leading and guiding people, offering high quality tourism services and hospitality, and conserving the natural/cultural heritage and preservation of the environment. For more information, please visit www.uss.cl. 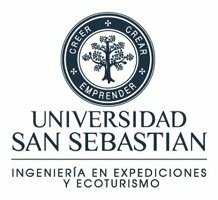 The Tourism and Gastronomy School at the Universidad De La Salle Bajío has 2 Bachelor Programs and 1 Master Degree program. The graduated in Tourist Business will be a professional that operates, manages and undertakes projects and differentiated tourist products; Taking advantage of the multicultural condition of any context, to promote the development of the community with social responsibility. This career has been accredited by CONAET (Consejo Nacional para la Acreditación de la Educación Turística A.C.)The graduate in Management and Operation of Gastronomic Services is a professional with an integral preparation in food services like restaurants and coffee shops; in hospitality services like gastronomic routes; food industries and humanistic and social work. UCS is a new uniting brand of the group of companies which specialize in sustainability certification in several industries – forest, marine, tourist, biofuel. 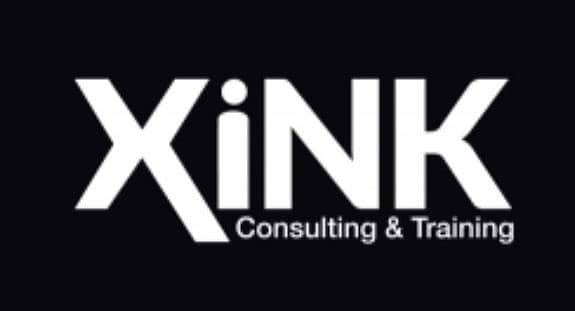 The company is registered in Cyprus (EU) with an office in Russia and representative offices in other countries (China, UAE, India, Turkey, etc.). At present UCS is in the process of obtaining accreditation against Hotel & Tour Operator GSTC Criteria. Unlike many other CABs having opted for approval of the standards and ecolabels developed by them, we have decided on accreditation which allows evaluation against the uniform GSTC Criteria, assuming that in the future it will be the GSTC Criteria that unite the main local certification standards most popular today. 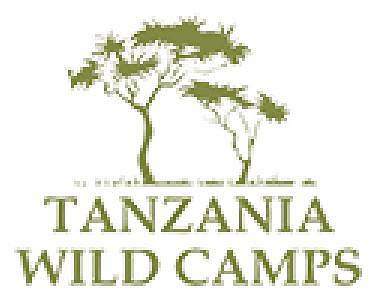 Sustainable tourist certification is a new and promising direction for us. UCS places its stake on developing markets, promoting its services through local partners. Due to their knowledge of local specifics we are able to offer potential clients the optimum certification cost-quality ratio. The Turisme de Barcelona Consortium is responsible for promoting the Catalan capital as a tourist destination. It is composed of an amalgamation of the Official Chamber of Commerce, Industry and Shipping and the Barcelona Promotion Foundation on the one hand, and Barcelona Municipal Council, on the other. They are its parents and have equal status. Turisme de Barcelona was founded in 1993 with the involvement of local government and the business world that hold an equal share in the organisation. Experience has taught us that this model isn’t easy to achieve. Only a small part of the business traveler takes into account aspects of sustainability and many companies are not fully aware of their responsibilities. Transform your company’s business travel program into a sustainable business travel program. This is not only good for ecology, social and economic. It also helps to increase the image of your company. With the European Union directive 2014/95, certain companies are obliged to publish a non-financial report. Recently, this report also includes the publication of greenhouse gases (CO2) on business trips. Take advantage of the opportunity to let all stakeholders perceive your company as a responsible company. TravelHorst will help making sustainability a central strategy for your business travel program. It offers significant opportunities to influence people and our planet positively, while your company achieves all economic goals.